Android mobiles are the latest attraction which comes with best features and excellent performance. Nowadays operating system popularity has been increased and companies are even launching new mobiles with updated software. Many Applications are available for the android mobiles either free of cost or at a cost. They can be downloaded easily on the mobile and enjoy easy access of performance. Wide range of apps are available which includes categories like music, security, budgeting, messaging, saving, antivirus, gaming and many more. Even some apps are specially designed for the android mobiles to add terrific functionality to the devices that the iPhone and iPad just can’t have. Android mobiles with Google play store offers millions of apps for the user and most of the apps are offered at no cost. Even you can shop on the play store for your favorite applications with minimal charges. Here are the list of top 10 free android apps almost every smart phone user would like to have. It is the best app which protects one’s privacy. It helps in locking SMS, contacts, gallery, market, settings along with other application too. By this app one can hide pictures, videos and messages. It helps the user to feel secured when he needs to pass the mobiles to others. It is one of the most downloaded app for android mobile phones over wide range of apps on the web. Paytm helps to recharge your mobile, DTH and data cars on the move. It allows easy access of payment through credit cards, debit cards or Paytm cash. Recently it had launched Paytm for bus ticket booking. It is the free app which helps you to access easily. viber offers free texting, calling and sharing photos and video messages worldwide by using Wi-Fi or 3G network for free. It makes calls with HD sound and quality and it automatically synchronizes the mobile contact list and automatically detects the viber users which help in easy connecting with friends and family. It is the best and fastest browser for mobile devices which helps to surf the net easily like surfing on the desktop. If we browse on opera mini it offers to reduce the data cost up to 90% when compared to other browsers. It is one of the most popular micro blogging sites. It offers to share photos in messages privately along with that we can even choose the follow option if you wish to follow someone’s activities. You can tweet, reply someone from your home timeline. With best look and almost 140 characters limit tweet it is the best social networking site and information sharing center for mobile phones. It is the best app which helps in fast browsing the internet. It provides unlimited tabs where you can open and switch between numbers of tabs. Chrome offers us to search fast and navigate from one tab to other tab and it is the free application offered by the company and you can even download it from the Google play store. It is the best app to enjoy watching movies as it supports multi core decoding. It supports a lot of video formats and help in playing any audio or video without interruption. It also have lock feature which prevents making call while watching the videos on the device. Even it supports Android Jelly bean 4.2 software. It is the most popular social networking website which helps us to connect with friends and family. Face book app is offered for the smart phones as most of the people feel it as the easy way to access account. It is offered at free of cost and one can enjoy chatting, gaming, sharing, posting photos and views along with video calling. 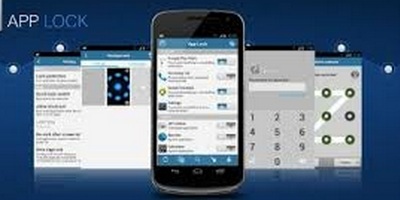 It is another popular app for the smart phones which helps in free texting, voice messages and video calls. This is the free application offered by the developer and one can enjoy texting by downloading application. It also have latest version 4.2 which offers video calling too where one can talk face to face. You can download this app from the Google play store at free of cost. It is the hottest Smartphone messenger available today for android phones. It uses 3G or Wi-Fi facility when available and helps in sending messages to friends and family. It has many advantages and best features when compared to normal SMS as it offers to send and receive free messages along with pictures, audio notes and video clips. We can create groups and can send unlimited messages to friends and it is also available for iPhone, Black berry, Windows Phone and Nokia mobiles. You can download it from the Google play store.